When it’s time to say "I do", our couples have versatile spaces indoors and out for their ceremony. 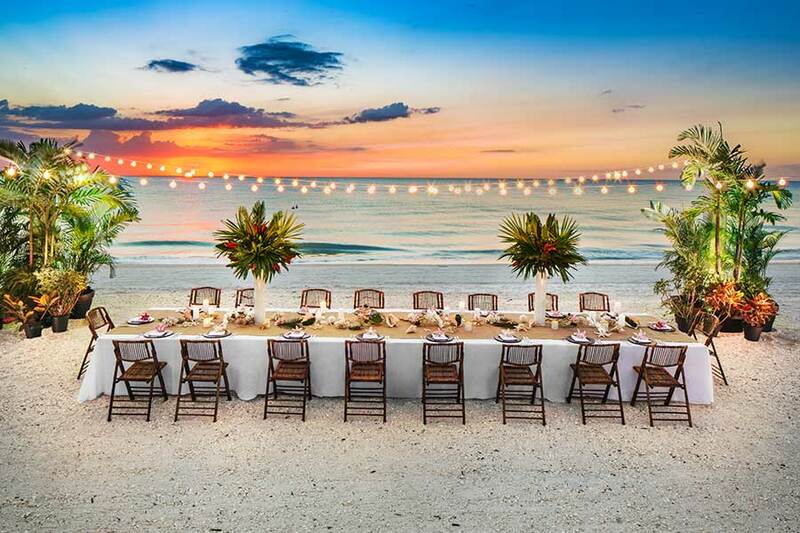 A quiet moment with your feet in the surf or nested next to the dunes exchanging vows or your family and friends gathered in white garden chairs, our pristine beach at sunset is a glorious stage for your new beginning. You will love the black-tie affair and splendor that follows. Our 5,200-square foot Grand Ballroom offers the formal setting for floral-laid isles romantic music and linen covered chairs. Ideal for larger gatherings. Can’t live without the stars and ocean breeze or your heels? Then our resort lawn will deliver a magical moment for all. 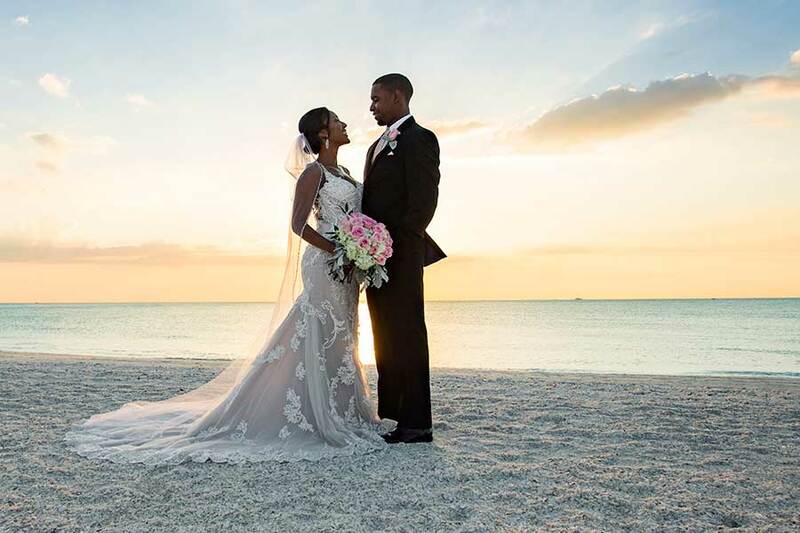 The Sunset Pavilion – a 5,000 square foot venue, adjacent to our beach dunes with gulf views will be transformed into your island paradise wedding. Follow our Brazilian hardwood boardwalk, magically lighted for this journey to an unforgettable evening of toasts, superb dining and music on our resort’s magical sunset beach. Love the stars and ocean breeze and your heels, then our resort lawn will deliver a magical moment for all. The Sunset Pavilion - a 5,000 square foot venue, adjacent to our beach dunes with gulf views will be transformed into your island paradise wedding. The resort’s Grand Ballroom hosts receptions up to 250. Let our wedding specialist help transform your dream with exquisite table settings, matching linens, florals, lighting and more. The Sunset Pavilion on the resort lawn allows you the option for an open-air, resort-casual affair for smaller and larger groups. Let our staff reserve a private spot on The Deck at 560 for a smaller gathering where the ocean breeze and gulf views are your décor.